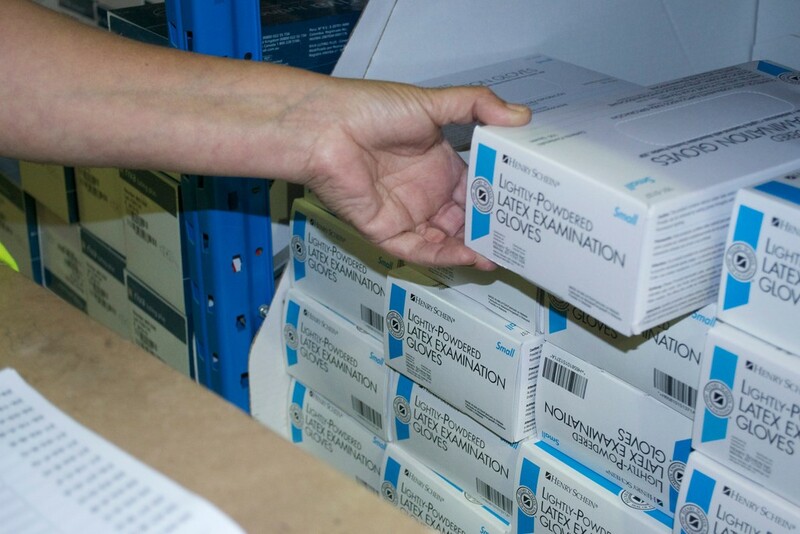 Henry Schein is a global distributor of medical supplies to clinicians, so smooth supply chain performance is absolutely critical. Achieving this has much to do with effective communication, both with supply chain partners and internally, as I discovered on a visit to the company’s distribution centre in Gillingham. Henry Schein UK purchasing director Samantha Roper says it is important for all parties in the supply chain to see things from the perspective of others down- or upstream from them. 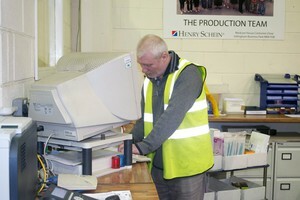 Henry Schein initiated a programme to work closer with suppliers to understand their supply chain. A team featuring individuals from different departments within Henry Schein met with suppliers, worked with them and fed information back to improve operations. Working with this supplier used to require a dedicated person in the receiving area to take care of deliveries. Now, thanks to better communication with the supplier, it can be handled by any member of the Henry Schein team, so it is a much easier process. Better communication resulted in nuts and bolts changes on the ground to make goods receiving smoother - how paperwork was dealt with, how pallets were layered, how pallets were strapped and marked up - all were improved. The continual process review is not just focused on supplier relationships. Henry Schein also focuses on internal communication. A similar idea was the Nova initiative, which brought together a team from across the whole business to look at Henry Schein from the customer’s view point from initial view of products to payment. Each department was represented and the initiative mapped touch points with the customer. 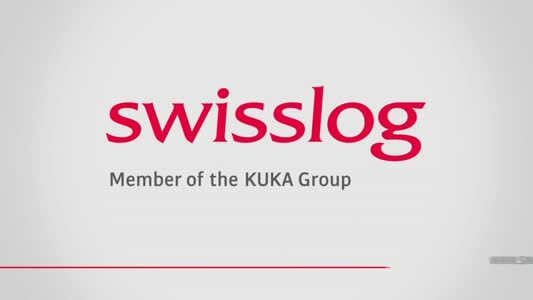 The programme had two objectives - to improve process efficiency and improve customer experience. The Nova initiative led to numerous spin-off projects and led to the creation of a role to support managers who are dealing with change in their department. Samantha Roper says the inventory and supply chain team has learned increasingly to understand the different business strategies. "We want to see the immediate and long term plans of each of our sales and marketing teams, what their promotional activity is, when they are bringing on new customers and introducing new products. All of this information helps us improve demand forecasting and customer satisfaction,” she explains. The inventory team has tools to help forecast accuracy, but fundamentally the relationship with marketeers and suppliers is key, adds Samantha. 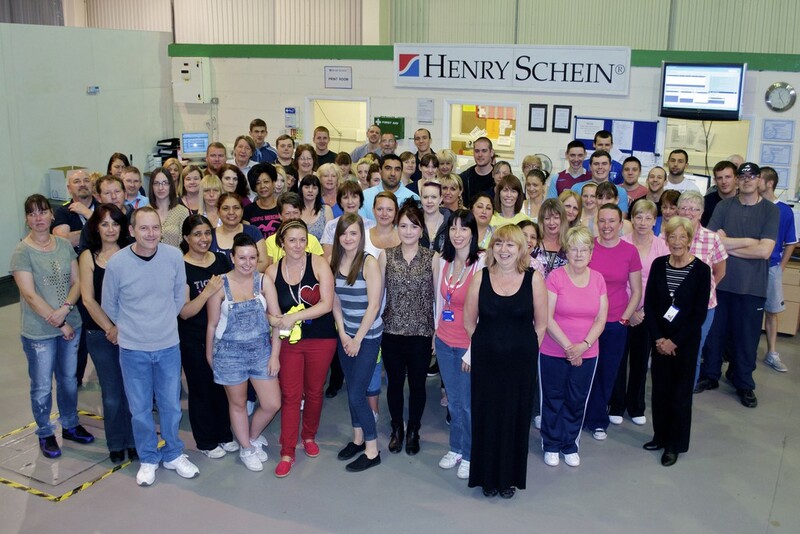 Henry Schein has a global plan to further upgrade its infrastructure and is in the middle of its UK projects. The company feels that if it is to deliver added value to customers, it must get the infrastructure right. The company’s DC in Dumfries, which focuses on its animal health business, has been upgraded with automated conveying and sortation equipment and the firm has turned its attention to its holdings in the South East of England, which focuses on the medical and dental businesses in the UK. Peter Dodd, head of supply chain operations at the Gillingham DC, says the company has a site close to its current facility in Gillingham and plans to use the new location to consolidate its presence in the South East. "We are moving quickly, but at a pace aligned with our suppliers’ and customers’ demand and working through planning approval [at the time of writing]. It is going well and we will discuss appointing a contractor soon. We have a relatively aggressive timetable for completion in mid-2014,” says Peter. Henry Schein plans to build a DC that is similar to the Dumfries facility, which will involve taking the opportunity to install automated conveyor systems in the premises. "It is very sensible to make sure we are investing in the best technology. We have different needs in this DC so we will take a slightly different approach to the one that has served us well in Dumfries,” concluded Peter.